It’s basically a reproduction of the old organs of the 60’s-70’s. It has 9 oscillators, switchable between sine and saw wave, with drawbars, vibrato, chorus and reverb. 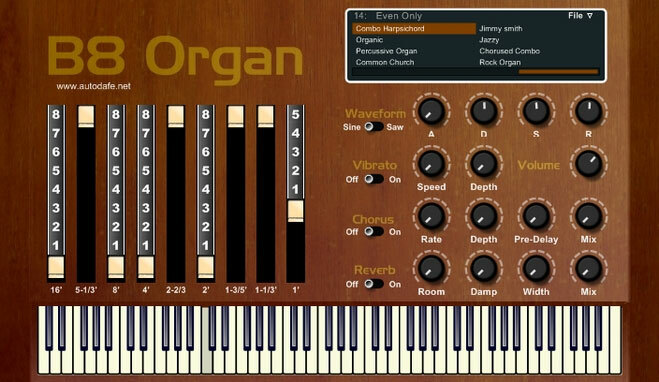 Sine waves results in tones typical of a church organ, or hammond-type sounds. Saw waves sound more like old combo organs, like Farfisas, Davoli, Crumar, for examlple.